For the most part, things were pretty status quo on FOX last week. The network had all repeats on Sunday and Monday. The original programming they had on the other nights was either flat or down. 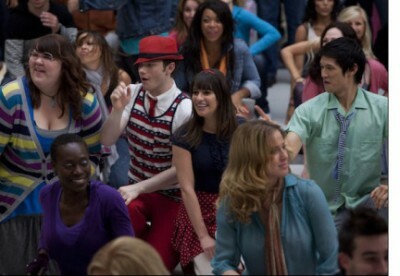 The super-sized edition of Glee brought the show down to a new season low, for the second week in a row. The ratings are way down from earlier in the season. Could it be in trouble? Which FOX TV shows will be cancelled or renewed depends mostly on the series’ ratings, particularly the 18-49 demographic. Before we get to the season-to-date averages, here are the winners and losers from April 22nd through April 28th — based on the coveted demo, as measured against the last original episode. No Change: America’s Most Wanted 1.4/5 and American Idol 7.1/20 (Weds). Week-to-Week Losses: Fringe 1.2/4 (-14.3%), Cops 1.2/5 (-7.7%), Glee 3.4/9 (-10.5%), Raising Hope 1.8/4 (-14.3%), Breaking In 2.4/6 (-4.0%), American Idol 5.7/17 (-1.7%), and Bones 2.8/7 (-12.5%). Below is a list of the regular FOX TV shows and their 2010-11 season average ratings to date. It only incorporates the ratings for original episodes and not repeats. The data is sorted by the all-important 18-49 demographic averages. The closer a show is to the bottom, the more likely it is to be cancelled. Fridays and Saturdays are the least-watched nights of TV so those shows get lower numbers.